Water-Resistant Battery Pod Holds 8 AA Batteries. 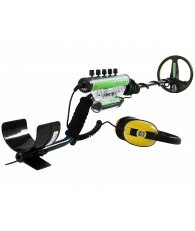 Use with Minelab Excalibur II. 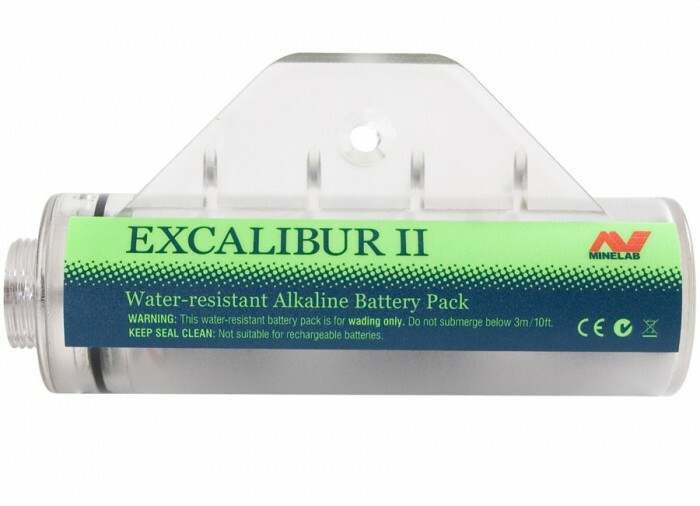 This alkaline battery pod holds 8 x AA alkaline batteries for the Excalibur II. Water-resistant only, use when wading, not in deep water. Has an underwater max of 10ft. 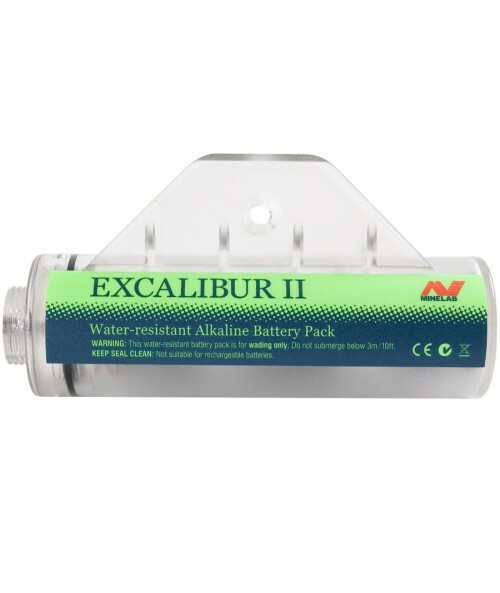 This battery pack is ideal to have in the car as a spare in case your rechargeable NiMH pack runs out of power.